The Lives and Afterlives of Letters research group is made up of core members and associate members. Naomi Billingsley (JRRI; Art History) works on eighteenth century British art, especially literary and biblical illustration. Her research uses correspondence in a variety of ways, such as reconstructing the processes by which publishers and artists worked together, and for evidence of artists’ perspectives on their work. Her current research on the Macklin Bible draws on artists’ letters in various archive collections, including the William Artaud papers at the John Rylands Library. Douglas Field (English and American Studies) works on British and American avant-garde writing. His current work draws on his curation of “Off Beat: Jeff Nuttall and the International Underground,” which explored how letters during the 1960s helped forge extensive transatlantic networks, as well as showcasing and drafting avant-garde practices. Florence Impens (JRRI; English) works on contemporary British and Irish Poetry. Her Leverhulme Trust-funded research on poetry and translation in the United Kingdom after 1962 makes extensive use of correspondence between publishers, poets, and translators in the Elaine Feinstein Papers, and the archives of Carcanet Press and Anvil Press Poetry. It provides insight into the literary networks that have shaped the publishing landscape of poetry in translation in the last sixty years. 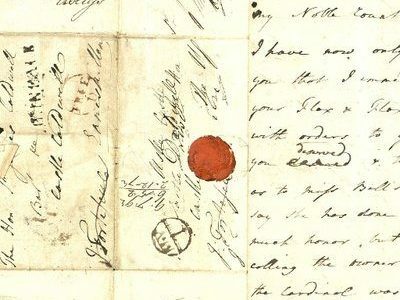 She is also interested in poetic uses of archives, including correspondence, and, increasingly, in ‘creative letters’. Katharina Keim (Religions & Theology) works on the Jewish/non-Jewish relations from Antiquity to the present. Her correspondence-related research focusses on the letters exchanged between Moses Gaster (1856-1939) and the Samaritan community of Nablus in the early 20thcentury. The correspondence (in Samaritan Hebrew, Arabic, and German) spans 1904-1934 and provides critical insight into the provenance of the Rylands’ Gaster Samaritan Manuscript collection. Alice Marples (History) works on medical and natural historical cultures of information and exchange in Britain and the world, c.1650 and 1850. Her thesis focused on the huge correspondence collections of Hans Sloane (1660-1753), and she continues to work on early modern and eighteenth-century knowledge networks. Andrew Morrison (Classics, Ancient History and Archaeology) works on ancient Greek and Latin letters. He co-edited the 2007 Ancient Letters volume for OUP and is co-director of the AHRC Ancient Letter Collections Project (2016-2021). He has published extensively on Horace’s Epistles and Greek fictional letters. Oscar Seip (JRRI; Italian Studies) is a final-year PhD Candidate in Italian Studies, supported by the JRRI. His research focuses on the use of letters to reconstruct early modern intellectual communities and study the spread of ideas. In relation to this, he has given workshops and is developing best practices for the use of network analysis and visualisation in historical research. This is done in conjunction with research projects based in Oxford, London, and Manchester.